Practical Farmers is pleased to introduce the newest class of beginning farmers joining our Savings Incentive Program. The new group consists of 11 farmers who, together, comprise the Class of 2019. These farmers represent a range of farm enterprises, from fruits and vegetables to row crops; livestock large and small to value-added products such as Christmas wreathes and baked goods. Meet the Class of 2019 here . The Iowa Valley RC&D in partnership with Tammy Stotts', IDALS' Farm to School Coordinator will be hosting a crop planning workshop and discussion on February 19. Learn about tips and tools to increase production, expand your markets and plan for the 2018 growing season. Workshop topics will include: calculating seeds and transplants, record keeping, succession planning, field layout, rows vs beds, expanding and diversifying yields, types of seed, and seeding/transplanting equipment. The training will discuss planning for several different market channels including CSA, farmers market, grocers, and institutions (emphasis will be on K-12 Farm To School programs). The workshop is designed for emerging farmers to provide timely and scientific information about no-tillage, soil conservation and water quality as they develop sustainable business plans. Emerging farmers include anyone who has recently started farming, or who would like to farm or have a voice in the management of their family’s farm. Anyone new to farming or interested in farming to attend. Please RSVP to Liz Juchems at 515-294-5429 or ilf@iastate.edu. They are looking for a hardworking, creative, farm assistant/employee that can help grow their business. They desire a working relationship with the assistant/intern of one or more years, both to benefit them and allow more time to positively influence and share information with a future farmer. Our farm enterprises are corn, soybeans, small grains, hay, and beef cattle. We are certified organic, use long-term rotations, cover crops, managed grazing, ridge tillage, and no-till. Full-time hourly employee, 40+ hours per week. Annual compensation range of $35,000 to $38,000 depending on experience and hours worked. Abbe Hills Farm CSA serves about 200 families with fresh, tasty, healthy, and affordable weekly vegetable shares for twenty weeks from June to October. Abbe Hills Farm is hiring one or two college-age summer workers. Employment is between May and August. Tasks include soil preparation, harvesting, weeding, planting, irrigation, and packing. Use of tractors and machines are used whenever possible to make work easier and faster, but mostly, it is hand labor. Starting wage is $9.00 per hour, plus surplus vegetables to take home. To apply, please send a letter of application, resume and contact information for three references to Laura Krouse, Abbe Hills Farm, 825 Abbe Hills Road, Mt. Vernon, Iowa, 52314. 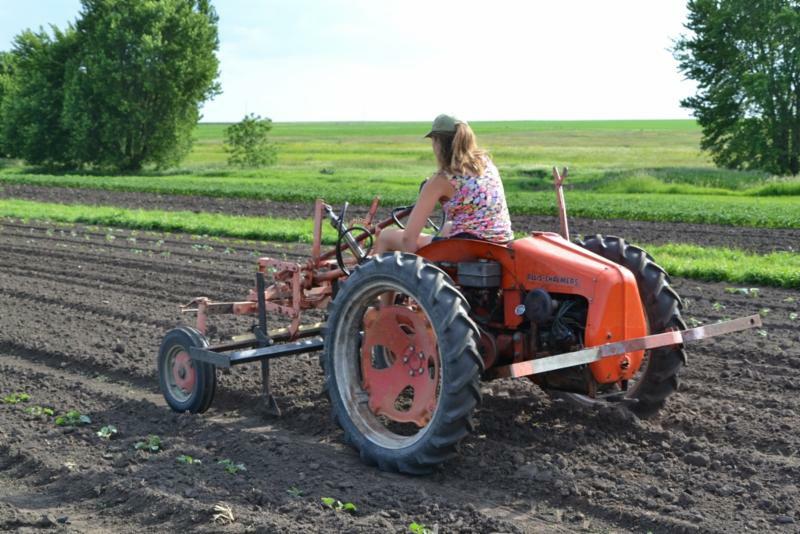 PFI is offering two, 2-day workshops for vegetable farmers designed to educate and empower current or future users of agricultural tractors and farm equipment. During the class, instructor Shane LaBrake will demystify tractors and improve understanding of how tractors are designed to work; how to operate them safely and effectively; and how to perform regular and basic maintenance tasks. $60 for PFI Members. This fee includes breakfast, lunch and snacks for both days and a 90-page spiral-bound course book. Dinner and lodging are on-your-own. Grazing Plan Checklist offers considerations and tasks needed to write a grazing plan. Grazier's Math: Matching Forage to Animal Demand is a tip sheet that helps you determine appropriate paddock size and animal number based on animal intake, plant recovery, and the length of the grazing period. Clip and Weigh Forage Yield Calculator is a companion piece to the Grazier's Math sheet that will help you measure and estimate forage yield. Monitoring Checklist will help you prepare a monitoring plan to ensure successful grazing strategies. All of these resources are available for free on the ATTRA website. ATTRA has a new publication for you to help develop sustainable and profitable fruit tree, bush, or vine production. "Soils and Sites for Organic Orchards and Vineyards" contains useful information about site selection and soil preparation for organic fruit plantings. It also describes cover crop and mulching options for orchards and vineyard floors, and discusses fertilization and the role of mycorrhizae in maintaining healthy fruit plants. The publication is available for free on the ATTRA website. The National Young Farmers Coalition has published a guidebook to help young farmers and ranchers navigate the credit options offered by the USDA Farm Service Agency. Farm Service Agency Loans: The Ins and Outs of Growing a Farm with Federal Loans is written for farmers and ranchers who want to access low-interest federal credit options. The 50-page illustrated guidebook is available online in PDF. With the average age of today’s farmer at 60 -- and rural America losing population as the cost of land and equipment soars -- a new documentary film, “Farmers for America,” reveals the people waiting to take their place in the fields; the practices they’re championing; and the obstacles they must overcome. The documentary, narrated by Mike Rowe (“Dirty Jobs,” “Returning the Favor”), also traces the extraordinary changes coming to America’s food system as more and more consumers flock to farmers markets, embrace farm-to-table lifestyles, and insist on knowing where their food is coming from. At the center of the film are the farmers, young and old, who provide the spirit and energy to bring urban and rural America together over what both share in common: our food. These farmers reflect nothing less than the face of America. “Farmers for America” will be screened in five Iowa cities during February. In addition to the film screening, panel discussion, local eats and great conversation, other Eastern Iowa farmers are welcome to come early – 5 p.m. – for the first meeting of the Eastern Iowa Young Farmers Coalition. Graham Meriwether, the film’s director, will be on hand to facilitate a conversation after the film. The discussion will feature local farmers of all backgrounds from small-scale nice production to larger-scale commodity farmers. The goal is to bring these two perspectives together and forge a shared path toward our next agriculture. Following the film, Graham Meriwether, the film’s director, will be on hand for a panel discussion after the film, which also will feature ISU alumni and local young farmers Kellie and AJ Blair, Scott Henry, and Nicole Jonas will take place following the film. 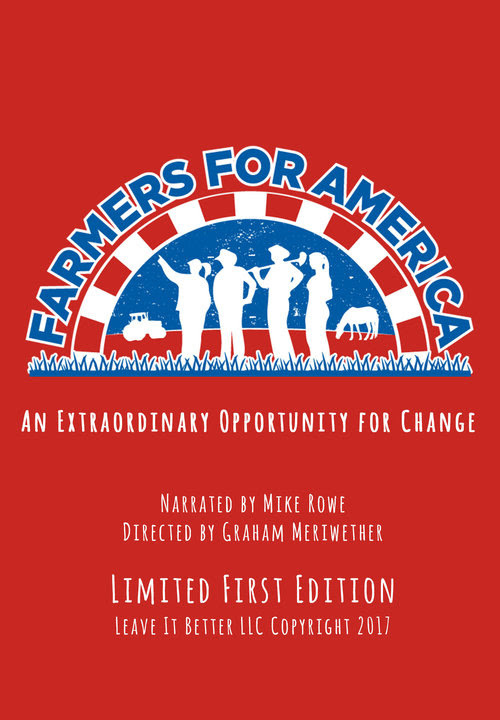 Filmmaker Graham Meriwether, the writer and director of Farmers for America, will moderate a discussion following the film. Neil Hamilton, the director of the Drake's Agricultural Law Center will be one of the panelists, and they will be joined by representatives from the Iowa Farmers Union and the Iowa Soybean Association. Feb. 20 | 7 p.m.
March 2 | Noon- 1 p.m.
March 16 | Noon - 1 p.m.